Grassy Valley Angus was founded by A.L. Duckworth Sr. who in 1933 left the mountains of north Georgia with his wife Sarah, young son A.L. Duckworth Jr., and newly received Veterinary degree from the University of Georgia to follow his love for livestock to Greene County which was noted for its large number of beef and dairy cattle. He established his practice, where he was the first licensed Veterinarian in this area, and began to work with local producers and markets. Following World War II he purchased a small piece of property and a few cows to begin his own operation. In 1959 A.L. Duckworth Jr. graduated from the Auburn University College of Veterinary Medicine and returned home to practice. Together they grew the herd and purchased additional land. 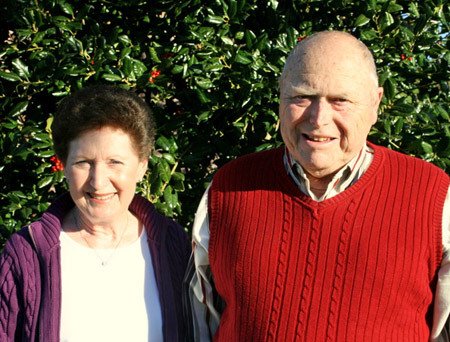 In 1966 they purchased their first registered Angus cows and bulls. Gradually the numbers of commercial cows decreased and the registered herd grew in size. In the 70s A.L .Duckworth Jr. recognized the value of performance testing cattle and introduced the first performance tested Emulous bulls to the area from the Corbin herd in Kansas. Over the years additional land was purchased and each new technology (A. I. , EPDs, embryo transfer, ultrasound, and genomic testing) was implemented in the selection process. 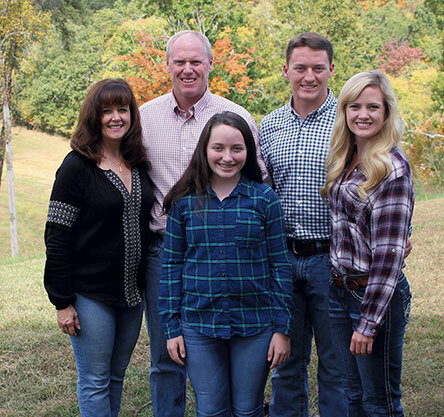 In 1992 Lee Duckworth graduated from the University of Tennessee College of Veterinary Medicine and began to take over day to day operations of the farm. The operation continued to grow literally one piece at a time to its current size of 250 cows. 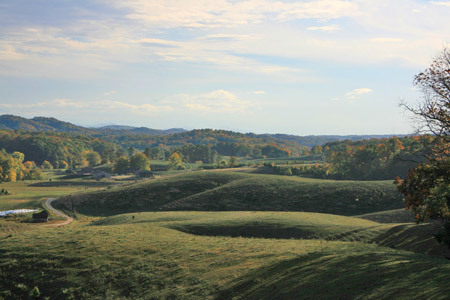 Grassy Valley Angus is a practical, no frills, family owned and operated Angus herd located in the hills of East Tennessee. Cattle are maintained in a similar manner to commercial producers in the area and selected to excel in our environment. The focus of our operation is to produce bulls that will increase the profitability of commercial producers in the Southeast. All available technologies (artificial insemination, embryo transfer, ultrasound data, and genomic testing) are incorporated to provide our customers with the most complete and reliable data possible. Genetics are incorporated from programs that share similar goals to our own. Cattle are selected for performance and a balance of all economically important traits as well as convenience traits. We strive to provide the complete package of superior Angus seedstock. A few bulls are marketed annually through central bull tests to prove their ability to perform. 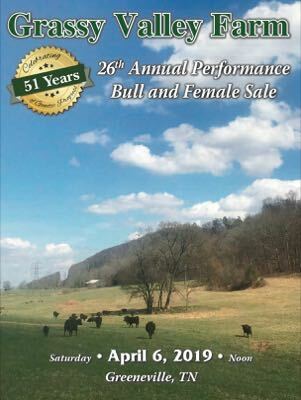 The Grassy Valley annual production sale is held the first Saturday in April where the bulls and females are marketed.